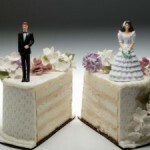 How to make your divorce as smooth as possible? Try to go for a divorce mediation which can be beneficial in terms of your as well as your spouse and child’s emotional bent. This is better alternative than trying to work thing out on your own or cumbersome courtroom proceedings. Choose an experienced and trustworthy lawyer who is well aware of laws applicable in your state and one who can make you feel comfortable because during this process you will have to share a lot of your personal details with them. It is essential that you must not only be prepared physically and emotionally but also with the legal aspects, documents and information you may need to file a petition. Recording and keeping copies of important documents of whatever has been agreed between both of you is crucial to avoid unnecessary conflicts. Keeping your documents organised helps your lawyer to work through details easily. Financial disputes are major concern during divorce as it can lead to financial losses both in the short as well as the long run. It is important that you consult your lawyer before any division of assets and debts. Figure out the value of your estate, check credit levels and whether you have income to support yourself. Suspend all joint bank accounts and credit card accounts open separate checking and credit accounts and start spending carefully and get your own insurance. If you have already made a will, it is time you revise it and don’t forget to consult an attorney before doing this. To find an attorney quickly you can Submit your issue in right side form. Children experience more problems when parents remain in high-conflict marriages. Don’t keep your children in dark, be honest and open and prepare them for upcoming changes. Start looking for a new house initially you both can stay close to the same locality especially if you have children. Sudden changes can be hard on them, so to ease your child’s transition keep your conflicts such as custody and visitation related problem away from them to minimise kid’s risk of psychological and social problems. You shouldn’t treat divorce as a battle. Cooperation and communication is the key for healthier divorce negotiations. Divorcing spouses and their children can benefit from seeking help of a psychologist to deal with their emotions and adjust to the overwhelming changes divorce brings. Psychologists help you reflect on your past and help avoid repeating negative patterns. You can always tap into your support network such family and friends or other formal support groups for coping and comfort. The most important thing is to try and start a new chapter by getting involved in activities you have always loved and to stay active.